The Elliptical tip pitot tube is a product of a CTI funded R&D study in an effort to find a replacement for the traditional Simplex type pitot tube. 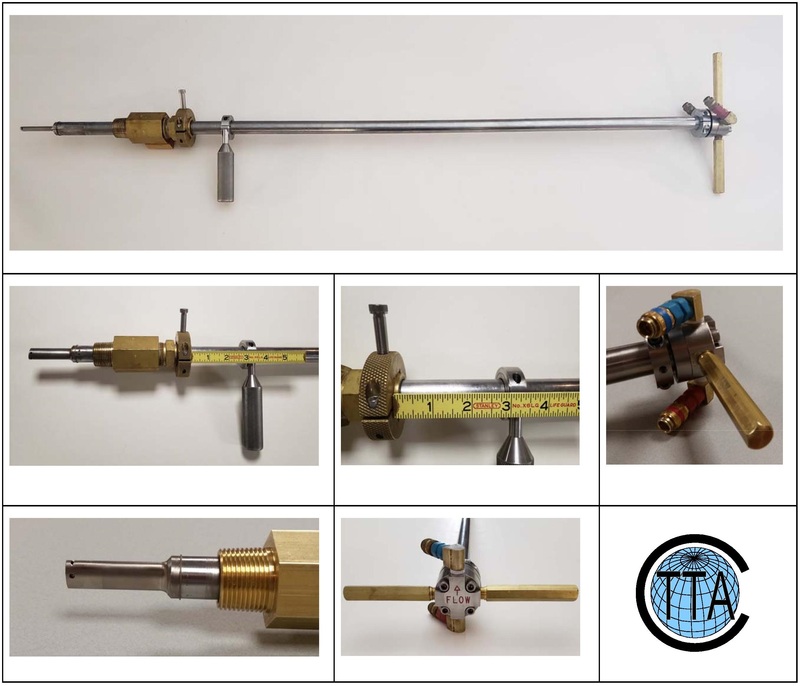 CTTA test engineers determined that a superior pitot tube could be designed around the new Elliptical tip that would not only be more end-user friendly but a more cost effective alternative to what is currently on the market. Thus the CTTA Legacy pitot tube was constructed utilizing the CTI Elliptical tip. CTTA is able to manufacture pitot tubes with the CTI style 1" diameter shaft while also offering a 7/8" shaft alternative. The 7/8" shaft allows for the pitot tube to fit through a 1" fully ported valve much like the previous Simplex pitot tube that was widely used before the Elliptical tip pitot tube. Both diameter shafts are equipped with the CTTA design improvements. These improvements are made up of a removable snap ring stop collar, and improved packing gland that uses nylon ferrules and a swagelok knurled grip ring to hold the pitot in posisiton while collecting data during a traverse. A position indicator is also included and uses a shaft collar and "Quick Grip" handle as directional reference while offering greater control of the pitot tube while moving it between pitot traverse stations. The back end of the pitots come with a slender removable 2-piece manometer adaptor that minimizes the chance of interfearance and damage while operating a pitot. A comparison between the Elliptical tip pitot tube offered by CTTA and others on the market can be found at the link below. For information on availability or cost estimates contact CTTA. 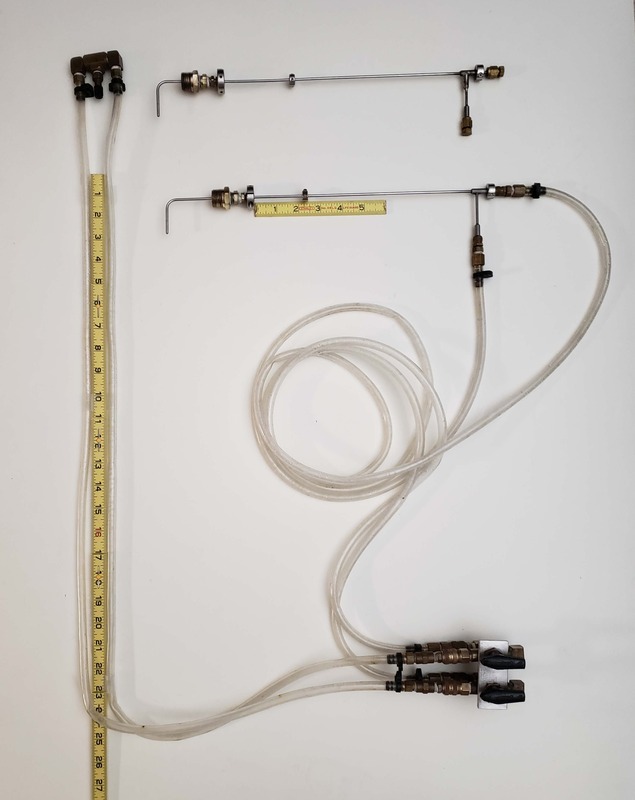 This kit includes 2 each L-Shaped Pitot tubes, 1 set of 2 connection tubes, 1 each flexible manometer, 1 each manometer valve block, 2 brass 3-way valves and fittings. A 3/4-in I.D. rigid polycarbonate air-over-water manometer assembly with valves and 1/4-in I.D. 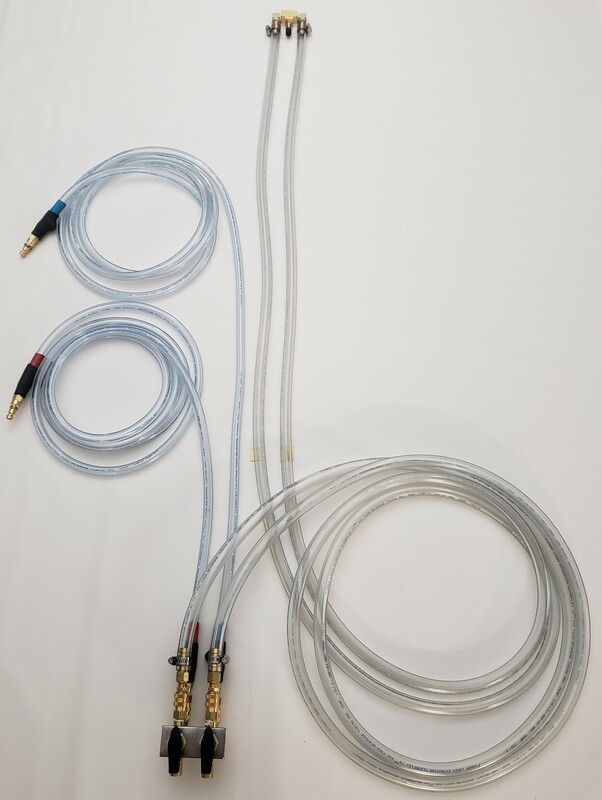 flexible plastic tubing with quick-disconnects to attach the assembly to a pitot tube with 1/4-in NPT ports. A 3/8-in I.D. by 10-ft long flexible plastic air-over-water manometer assembly with valves and 1/4-in I.D. flexible plastic tubing with quick-disconnects to attach the assembly to a pitot tube with 1/4-in NPT ports. The CTTA design improved the Elliptical pitot tube by providing a stiffer tube than used in the Elliptical design. It uses the Elliptical rod and pitot tip components as its basis and has a 1-1/2-inch diameter by 1/4-inch wall stainless steel reinforcing tube. The O-ring packing gland used in CTTA pitot tubes results in lower friction making the tube easier to move in and out of the pipe. The packing gland has 2 inch NPT male threads for attachment to a pitot tap or port. The overall length of the original style tube is approximately 1.5-ft more than the working length. The overall length of the modular style tube is approximately 3-ft more than the working length. The modular style tube can have interchangeable shaft lenghts. Allowance must be made for the pitot taps or ports in the pipe to insert the tube. Typically, the working tube length should be 1 to 3-ft longer than the pipe diameter to be traversed.